Yes. Belmont Golf Course in Richmond Virginia. It hosted the 1949 PGA championship. Back then, it was known as Hermitage Country Club. Virginia native, Sam Snead defeated Johnnie Palmer 3&2 for his second of three major championships. To this day, the 1949 PGA Championship remains the only major held in the state of Virginia. 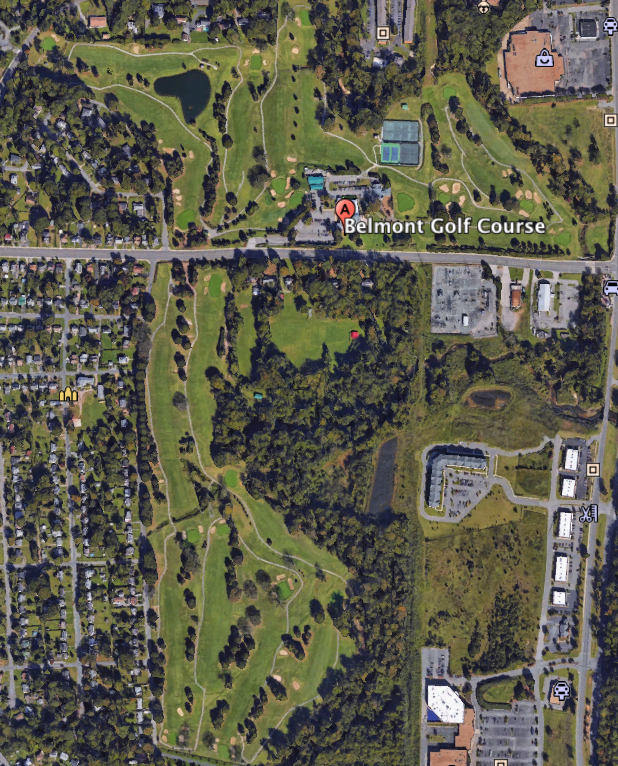 You probably know nothing about Belmont Golf Course, but you should. Because this historic Tillinghast design hangs in the balance. "It has been my pleasure to design a number of Southern courses, and without exception, the features on this tract are far more pleasing and interesting than any I’ve encountered south of the Mason Dixon line." Tillinghast received his commission about the same time as he was building iconic Quaker Ridge. Upon completion Hermitage C.C. was heralded for its spectacular routing, natural land movement and the use of a creek which ran through its property. It became the best championship golf course in Virginia. Unlike many similar courses, the club survived the Great Depression and World War II. In the post-war years, Hermitage thrived and began hosting championships. First was the 1945 Richmond Open won by Ben Hogan. Then, the PGA Championship of 1949 - It’s moment in the spotlight. In 1977, the Hermitage Country Club sold the Tillinghast-designed course to the Henrico County. In turn, the course was re-named to Belmont Golf Course. In terms of conditioning, the course suffers from several problems endemic to municipal golf. Years of mismanagement has led to shrunken greens, overgrown trees, and eroded bunkers. The bunkers have drainage problems and poor sand quality. This poor treatment has led to poor playing conditions and a poor public perception. But the “bones” of this course are still very good the strategic values remain. 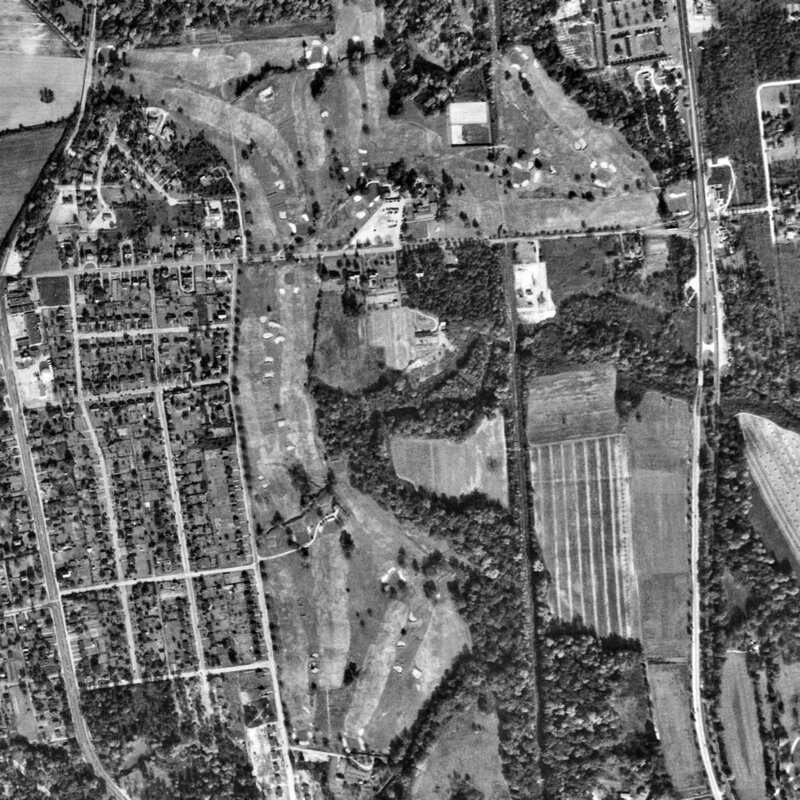 If you show up to 1600 Hilliard Avenue, you can play the course Snead played in 1949. The non-resident greens fees are as low as $24. Find me another major championship site you can play for $24. Today, the Tillinghast-designed Belmont is like an abused Frank Lloyd Wright house. It’s architecturally important, but begging for a restoration. Properly executed, the Tillinghast design has the potential to become one of golf's public treasures. A proper restoration would vault the course into the upper-echelon of municipal-owned facilities. There are sterling examples Torrey Pines, Chambers Bay, Harding Park and a few others. Even these can’t boast a Tillinghast original design. A faithful restoration might put this course back on the map and give local golfers an outrageously great, historic golf course to play. It would also stimulate the economy. Belmont rests two miles off of interstate 95, the highway which connects the eastern seaboard. This road is regularly trafficked by golfers going to destinations in North Carolina, South Carolina and Florida. Belmont and Richmond would provide a great stopping point along the way. For inspiration, Henrico County should look no further than Tillinghast-designed Bethpage State Park. Bethpage Black and Red are both well preserved designs that provided a wonderful course to play for the greater NYC public while also being a tourism driver. This year, Henrico County approved a budget for a golf course improvement. Their improvement plan focuses solely around reducing the maintenance costs of the bunkers. 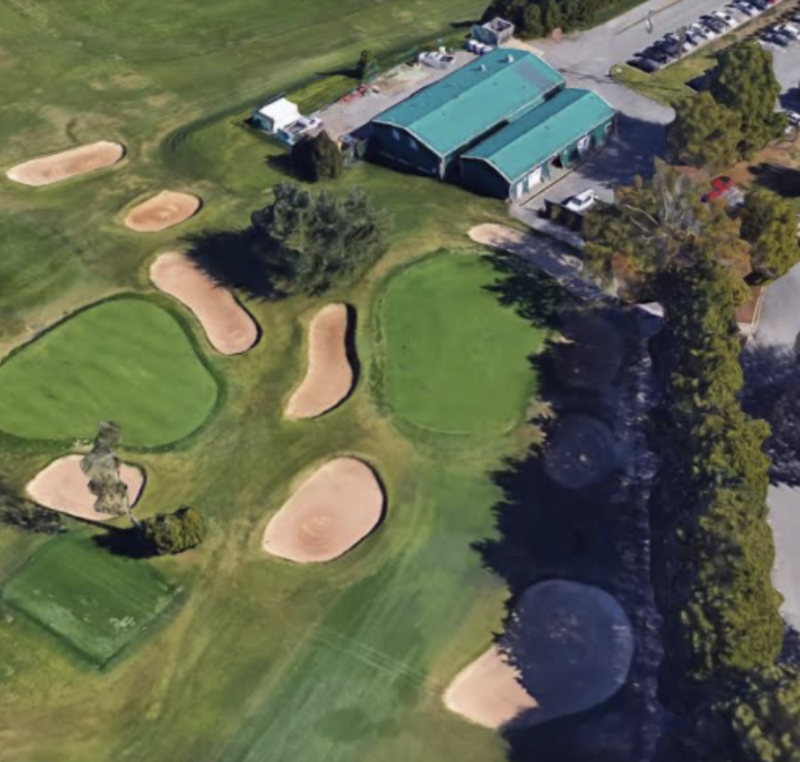 This plan will see the removal, shrinking or altering of all the Tillinghast bunkering.. With the year near conclusion the county has undergone a shotgun bid for construction services. Here's a look at the bunkering on the par 3 18th hole at Belmont from 1949, today and what they plan to do. Rather than renovating and keeping the authentic Tillinghast bunkering, it will be vanquished for non-descript shapes which rest farther from the shrunken greens. To achieve this, the construction contractors will also regrade the green edges of the 18th. This is the general plan for all 18 holes and will remove one of the most distinct Tillinghast features Belmont possesses. A proper restoration would see that the green has gotten considerably smaller over time. The green originally extended down to the front bunkers. If I were in charge I would build new bunkers in the same position and orientation as they are today and begin to look at ways to get the original green size back. Here’s a photo that illustrates how large the green should be compared to its size today. The 18th green in its current state. A closer representation to what the green size and bunker should be. The bid for services closed last week and it appears through looking at Henrico County records that it has yet to be awarded. They should punt. Instead of going for local contractors, bring in a bonafide architect and (at the very least) re-evaluate the way this course is being managed. Take some time to assess your options. Tillinghast is one of only six architects to in the Hall of Fame. If you want to play a major championship course built by Tillinghast, your public options are Bethpage Black and Belmont. This is a course with tremendous potential. It's surprising that golf courses such as Belmont aren't given a historical designation like a Frank Lloyd Wright house would. Sadly, the window of opportunity to restore Belmont is closing. This course should and could be a national public golf gem. In today’s game, where affordable, great courses are rare for the public golfer, it would be sad and irresponsible to lose a course like this. Now is the time to save Belmont Golf Course by emailing and calling Henrico County's Parks and Recreation Office. An architect attempted to restore the hisotric Ocakli Ada castle to its original glory and fell short. He was mocked for failing to notice that the building had little resemblance to its original design and that it looked like a popular cartoon character. Don’t do this to Belmont Golf Course.